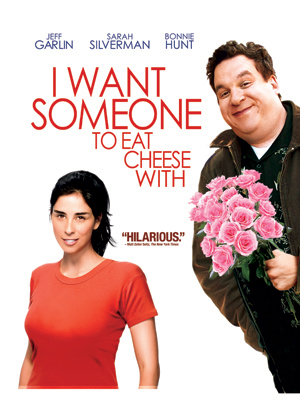 Synopsis: James (Jeff Garlin) is a middle aged, food loving, overweight comic living with his mom in Chicago. He hits rock bottom when his girlfriend dumps him and his agent can’t find him a legitimate job, dropping him as a client. After having a meltdown at a grade school career day he drowns his sorrows at the local ice cream shop. There he meets the ever optimistic and quirky Beth (Sarah Silverman). Beth’s cheerful personality masks her sadness over her empty life and the two soon become friends and lovers. Filling the other’s void, the couple may have found that one someone to eat cheese with.